Clth, 8.5 x 10.25 in. / 512 pgs / 98 color / 126 duotone. “I, too, asked myself if I could not sell something and succeed in life... 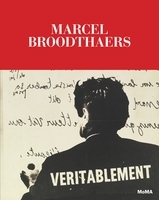 Finally the idea of inventing something insincere came to me and I got to work immediately.” With this statement, penned for his first solo show in April, 1964, Marcel Broodthaers (1924-1976) announced his death as a poet and birth as an artist. 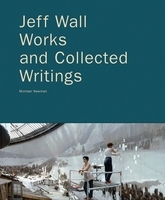 In fact, he was to transform the category of artist completely, purging the vocation of its medium-specific implications to pursue a unified conceptualism across media such as artist's books, prints, film, installation, sculpture and writings--” where the world of plastic arts and the world of poetry might possibly, I wouldn't say meet, but at the very frontier where they part.” Broodthaers' Museum of Modern Art, Eagles Department (1968-1972) inaugurated the practice now known as institutional critique, and the linguistic foundations of his art--as well as his emphasis on printed multiples--also proved prescient for subsequent strains of Conceptual art. 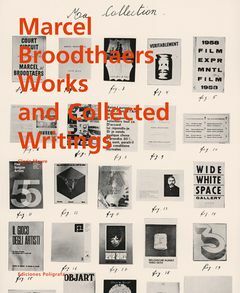 Edited by Gloria Moure in collaboration with the artist's estate, this momentous publication eclipses in its scope all previous Broodthaers writings collections. 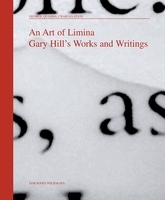 It gathers his early poetry, statements, critical essays both published and unpublished, open letters, interviews, preparatory notes and scripts, plus a wealth of illustrations. 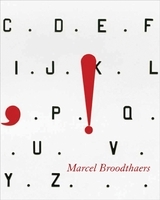 Marcel Broodthaers was born in Belgium in 1924. 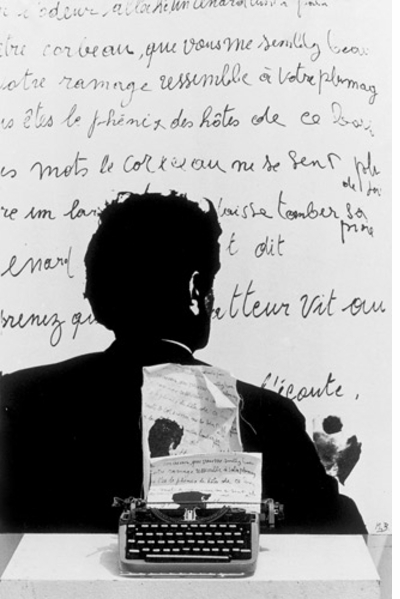 From the late 1940s to the early 1960s he worked primarily as a poet, and was a member of the Belgian Groupe Surréaliste-revolutionnaire, which included André Blavier, Achille Chavée and René Magritte. After almost two decades of poverty, Broodthaers performed a symbolic burial of his life as a poet by embedding 50 copies of his poetry collection Pense-Bête in plaster. However, his art continued to be characterized by its emphasis on written text. 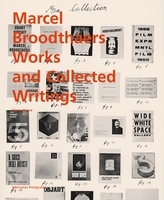 Broodthaers died in 1976, on his fifty-second birthday, and is buried in Brussels beneath a tomb of his own design that features images from his allegorical repertoire, including a pipe, a wine bottle and a parrot. 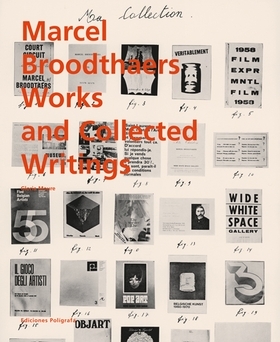 Featured image is reproduced from Marcel Broodthaers: Works and Collected Writings. 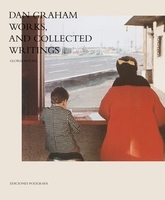 ...the COLLECTED WRITINGS is a treasure trove. 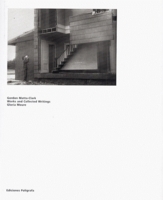 FORMAT: Clth, 8.5 x 10.25 in. / 512 pgs / 98 color / 126 duotone.